Reproduction Quilts From The Civil War "On Sale"
Aunt Grace 10th Anniversary"On Sale"
Books > Aunt Grace 10th Anniversary"On Sale"
Aunt Grace is celebrating a tenth anniversary printing of the charming 1930's reproduction prints. 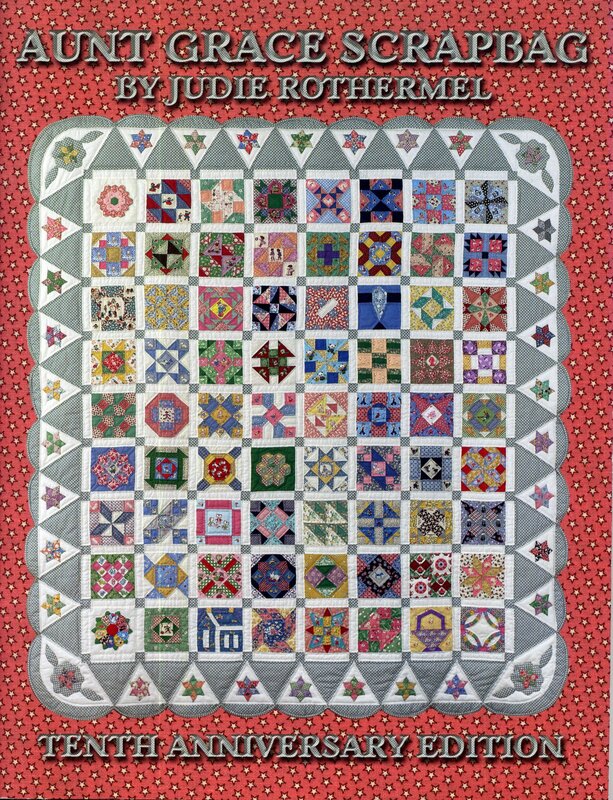 The book includes fifteen patterns for full size quilts and smaller wall quilts. The book has seventy-six pages that contain fourteen color pages featuring the quilts as well as fabric swatch pages. This will be a great reference for your Aunt Grace collection. Wholesale available. Please call.